The Republic of Angola is located in southern Africa, bordering the South Atlantic Ocean, between Namibia and Democratic Republic of the Congo. Angola has a total area of 1,246,700 sq km with a total population of 11,190,786 (July 2005 est.). Bordering countries are the Democratic Republic of the Congo, Republic of the Congo, Namibia and Zambia. Angola has also a coastline of 1,600 km. Angola has a climate of semiarid in south and along coast to Luanda; north has cool, dry season (May to October) and hot, rainy season (November to April). The terrain is narrow coastal plain rises abruptly to vast interior plateau with extreme elevation of 0 m near Atlantic Ocean to highest point 2620 m at Morro de Moco. The capital of Angola is Luanda. 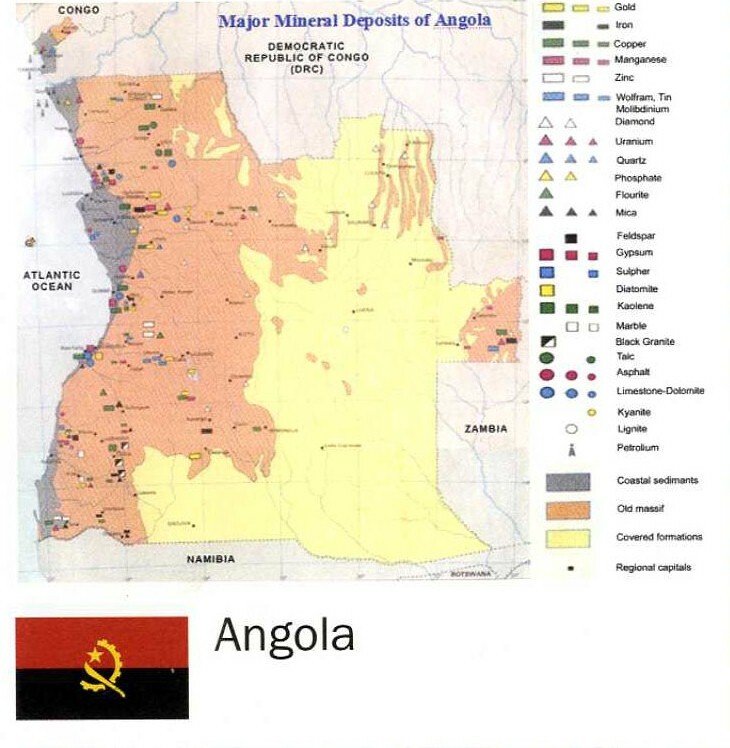 Natural resources of Angola include: petroleum, diamonds, iron ore, phosphates, copper, feldspar, gold, bauxite, uranium.